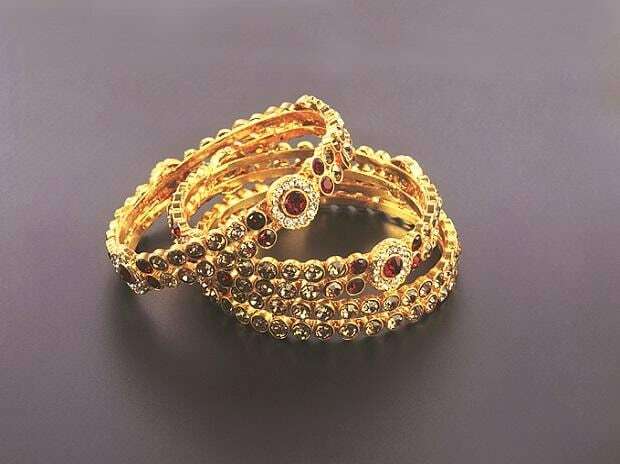 The price of gold at the spot market here was trading above Rs 33,000 per 10 gram as those abroad went above $1,300 an ounce on safe-haven buying. However, demand and import took a hit at the high price and the trend is likely to continue. On Wednesday’s close, the price had moderated marginally to Rs 32,985 per 10g. The global gold price rose a little more than two per cent this week. In India, gold was trading around a discount of $10 per ounce or Rs 240 per 10g. That has turned since into quoting at a marginal premium in some markets; a marginal discount is there in some others, Delhi being one. The all-time high price in Mumbai’s wholesale bullion market was on August 28, 2013, of Rs 33,265 per 10g. On Wednesday, standard gold opened here at Rs 33,060; silver was above Rs 40,000 a kg, a seven-month high. The rise in gold over recent months, especially from the December quarter, has tempted traders to sell gold and buy silver. In the December quarter, gold demand and import fell. There has been some marriage season demand in the past two weeks and this might continue for a month. However, this is not enough to compensate for the fall in gold demand, the high price being the main hurdle. Demand in the December quarter sems to have been the lowest in recent years in India. Initial estimates suggest net supply (import + scrap + unofficial or smuggled supply) for domestic use was down by 23 per cent to 192.8 tonnes. Total fabrication demand (investment + jewllery+ industrial) in all of 2018 was down 11 per cent to 782.7 tonnes. The GFMS survey believes “demand will continue to suffer in the first quarter of 2019, as the price remains extremely high and at present the market remains in a decent discount, with consumers prepared to wait to purchase gold jewellery. As per our recent field survey experience, jewellers do not expect consumer demand to return unless prices drop below Rs 29,000/10g, which at the current level is looking very unlikely any time in the near future. Jewellers are sitting on decent inventory and until demand improves dramatically, we estimate fresh import will continue to suffer”. GFMS estimated the average international gold price to be $1,292 an ounce. The average for 2018 was $1,269. The agency says gold price rallies are more likely to be sustained if investor demand is resilient and broad-based. The scope for rising inflation, the interest rate-hiking trajectory nearing the end of its cycle and a stock market correction could reignite interest in gold and drive the dollar lower. While exchnage-traded fund and bar and coin demand are expected to see a return to growth, physical markets are likely to be subdued due to the higher price level.